Lots of whimsical prints are coming your way this spring! Florals and stripes are always top of mind when warmer weather arrives, but this season features fun variations on each. Pick your print and let me know which is your favorite! I love this post! Such a cute way to display spring prints. I think the Saloni print is my favorite…so precious! i think the saloni would be very easy to wear. the carven colors really catch my eye though. I love how bright, happy and fun the prints are! Such a good selection too. I need those stripes and leaves!!! LOVE this Merritt! 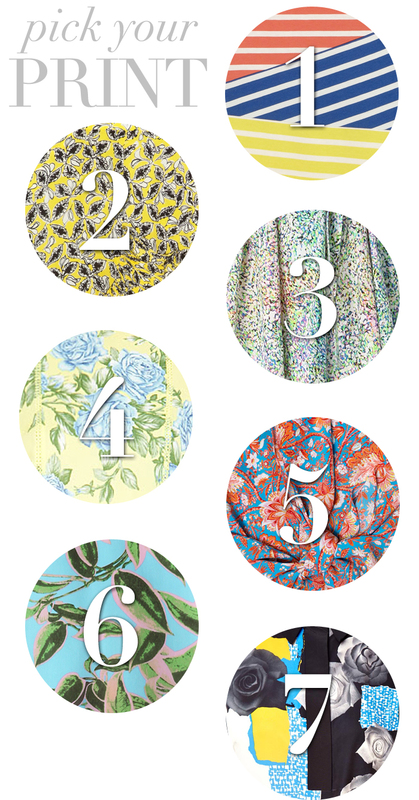 Spring prints are so fun – my fave is the Twelfth St by CV!